Drug dealers have become some of the richest and most powerful people in the world. Some of them make billions of dollars, and some drug dealers have even used the profits to start their own armies, and take over parts of the world. Drug dealers have made it onto both the Forbes rich list, and most wanted terrorist lists all over the world. Drug dealers are some of the most notorious, dangerous, and successful criminals in the world. 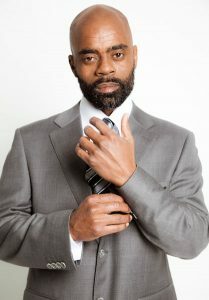 Freeway Rick Ross is one of the most famous and successful drug traffickers in American History. Ross started selling cocaine in High school when one of his teachers introduced him to it. Ross was successful with this and wanted to start selling more but his teacher wasn’t willing, so he went to find a new dealer. Ross found a dealer who could get him large amounts for much cheaper than the competition, with this he started selling to Bloods, and Crips, and eventually started selling $3 million worth of cocaine everyday. Ross created a drug empire with thousands of employees, operating in cities all over America. Ross grossed over $2.5 billion in today’s money making him one of the richest people in the world at the time. Also known as the godmother of cocaine, Blanco was a drug lord in the Medellin Cartel. Blanco was a fearsome women while operating, and it’s estimated she was responsible for up to 200 murders. She was based in Miami, selling cocaine during the 70’s and 80’s. Even at the age of 11 Blanco was ruthless, she kidnapped another child, and tried to trade her for a ransom and even ended up shooting the other child. Blanco was the cause of the Miami drug war in the 1980’s, and her dealing were so corrupt and illegal that they were dubbed the cocaine cowboys. B;anco’s network was making an estimated $80 million per month. 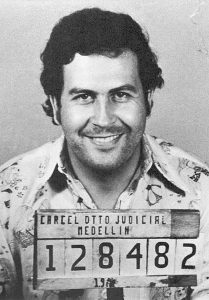 Carlos Lehder born 1949, was a Colombian drug lord, and one of the richest drug dealers in history. Lehder was the head of a cocaine transporting empire, off the coast of Florida. Lehder co-founded the Medellin Cartel, and the Muerte a Secuestradores. MAS was a paramilitary group designed to put an end to the kidnapping of cartel members. Cartel members and the families were being attacked, and kidnapped by a group known as the M-19 guerilla movement, who even tried to kidnap Lehder but he managed to escape, only having been shot in the leg. Lehder was strange in that he idolized both John Lennon and Adolf Hitler. Carlos was worth $2.7 million dollars. 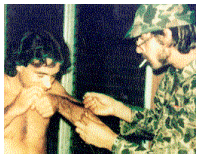 Orejuela brothers are Colombian drug dealers, and former leaders of the Cali Cartel. The brothers were both arrested during a house raid in Cali. The police found them hiding in a hollowed out bathroom cabinet with an oxygen mask. The brothers started off in marijuana but eventually branched off into cocaine, and even supplied 80% of the United States cocaine, and 90% of Europe’s. The Cali cartel was rivals with the Medellin Cartel but much less violent and instead made use of bribery to get what they wanted. The drug dealers were sentenced to over 27 years. They were both billionaires worth around $3 billion. Rodriguez was known as one of the most successful drug dealers of all time, when he was one of the leaders of the Medellin Cartel. He was even included in Forbes yearly list of billionaires in 1988 before he was shot by the police in raid in Tolu. Rodriguez was one of the founders of the Medellin Cartel, one of the most successful Cartels of all time. Rodriguez quickly rose through the groups hierarchy, after establshing profitable trafficking routes into the United states. He was known to be obsessed with Mexican culture, and was even named “El Mexicano” or, The Mexican, in English. 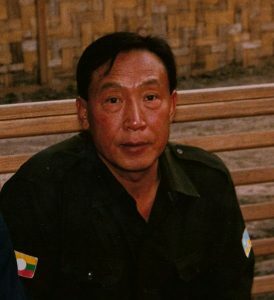 Khun Sa was drug dealer, operating in the Golden Triangle, and a Chinese warlord in charge of the Mong Tai Army. Khun Sa was born in a village in Burma, China in 1934. Sa trained with the Kuomingtan from a young age, and eventually reformed it into a local militia. He recruited new members to the army until he had around 800 men, and then captured large amounts of land in the states of Wa, and Shan. This is also when he began selling opium. He gained riches selling drugs, and the US tried to have him assassinated. Because of this he moved his headquarters across the border into Myanmar, and grew his army even larger by joining with other militia’s, creating the Mong Tai army. With his new army he took control of the whole Tai-Burma border area, and became one of the biggest opium smugglers in the Golden Triangle. Sa then had 20 years of dominance over the area, and still a large portion of the amount of drugs being smuggled into other countries. Sa was never arrested, and after surrendering to the Burmese government retired a wealthy man without having to worry about being arrested. The opium King had anet worth of $5 billion. Jorge, Juan, and Fabio Ochoa, are three of the richest drug dealers in the world, worth over $6 billion in total. They used to breed cattle and work in the restaurant industry until they started selling drugs in the mid seventies. They formed an alliance with Pablo Escobar which evolved into the Medellin Cartel. Ochoa’s sister was kidnapped the Guerilla organisation M-19. In response to this they started the Muerte a Secuestradores, and threatened to kill any kidnappers from M-19. This scared the organisation and they released the hostage. Kasker is worth $6.7 billion, he is among the three richest drug dealers in the world. He is the founder of the Indian crime organisation, known as D-Company. Kasker is the head of an illegal empire in India, and responsible for the Bombay bombings in 1993. He is the third most wanted man in the world, and the most wanted man in India. Kasker is said to have ties with Osama Bin Laden, and a US congressional report even claimed they were in a strategic alliance together. Multiple countries have declared him a global terrorist, and accused him of shipping large quantities of narcotics to the UK, and other parts of Europe, while also constantly attempting to destabilise the Indian government through riots and protests. Amado Carrlo Fuentes, otherwise known as “Lord of the skies”, is a Colombian drug lord who took over the Juarez cartel from within, after assassinating his boss in a coup d’etat. Amado is incredibly rich with an estimated net worth of $25 billion, making him one of the 20 richest men in the world. He was dubbed lord of the skies because he utilised an entire fleet of jets to transport his drugs. Fuentes was being tracked by the Mexican and US authorities. Making so much money must have made him a huge target, and this scared Fuentes, so he planned to go undergo a lot of plastic surgery to make him unrecognisable and go into hiding. The procedure didn’t go well and he died, in hospital after the surgery. Pablo escobar had a net worth of $30 billion dollars, and was one of the 10 richest men in the world. He was king among drug dealers, dubbed the king of cocaine. It’s estimated that 80% of the cocaine smuggled into the United States was his. Escobar was the number was the highest ranked in the Medellin Cartel. He began committing crimes as soon as he left education, and in 1975 establisheed the first smuggling routes into the United States. 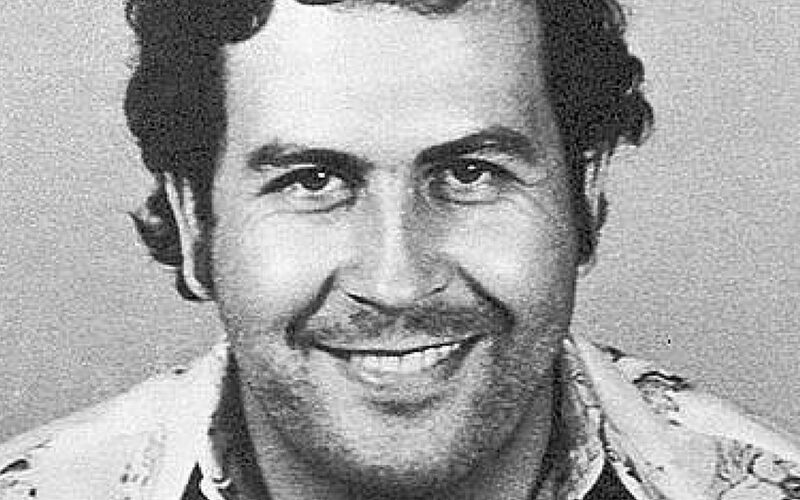 Escobar is the reason why Colombia became the murder capital of the world. He was killed by police officers in Medellin at the age of 44.